Today was Day #6 of Chocolate and Currant Theme Week and Day #2 of Chocolate and Poetry Theme Week. I've worked my way through some tasty chocolates this past week combined with fresh red and dried black currants, currant jellies, and creme de cassis (made from black currants and brandy). 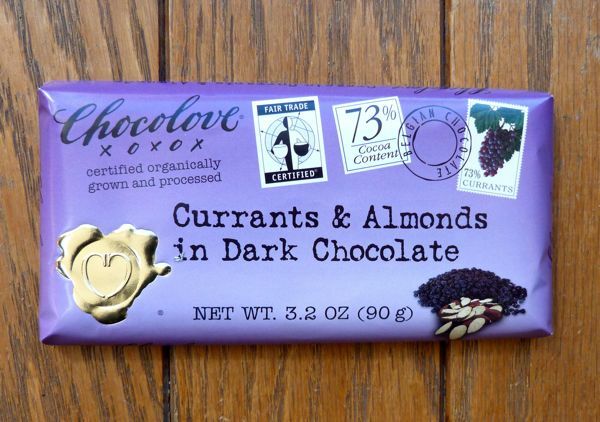 Today's featured item was a Currants and Almonds bar in Dark Chocolate (73% Cocoa Content), made with Fair Trade Certified organic Caribbean cocoa beans, and ingredients that were "certified organically grown and processed" by Chocolove (Boulder, CO). The chocolate was rich and strong enough that it was difficult to detect the the small, dried currants. There was a bittersweet dark fruit flavor that I recognized. 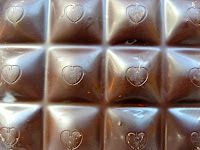 The same taste was present in the cassis dark chocolate truffles I made. It may not appeal to those who like milk chocolate and lighter flavors, but I enjoyed it. The organic, unroasted almond pieces added an occasional bit of crunch and texture to the bar, and were a nice mellow complement to the dried currants and dark chocolate. 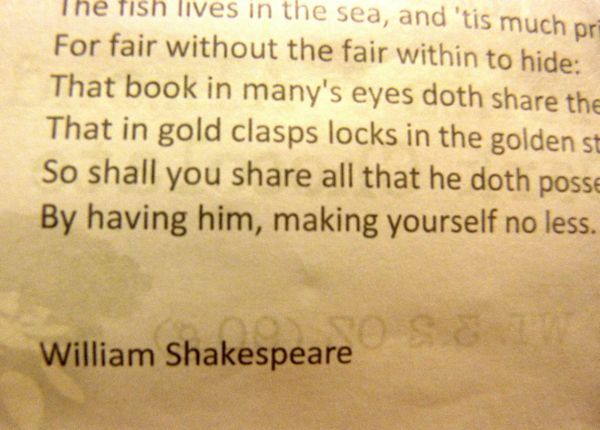 a quote from Lady Capulet. even though the story's end lacked happiness.